After voting on the platform, this time Indodax, Indonesia's largest cryptocurrency exchange announced that it had found its winner. Indodax has completed integration with Achain and Storiqa, which is the winner of Community Coin Voting period 1. Both assets can be traded starting on Monday, May 28, 2018. Saturday, May 26, 2018, at 15:00 pm, Achain, and Storiqa can begin to be deposited in Indodax account. 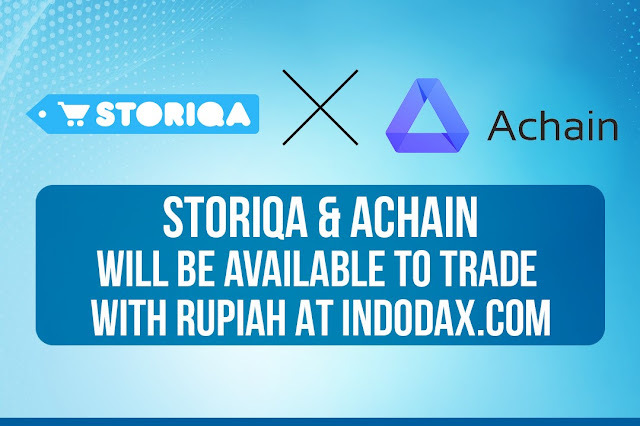 Monday, May 28, 2018, at 15.00 pm, Achain and Storiqa can be traded with Rupiah at Indodax. In the meantime to continue to hold the commitment of the community, ie to organize the selection of assets in a more democratic way, Indodax will hold the second phase of community voting starting in early June 2018. Community coin voting rules are the same as in previous periods, in which each member can participate by exchanging 0.1 TEN per vote.